What do you do when your tween announces a career path, that you are not sure about? You start researching to build a case! That’s exactly what I started doing when I came across a new ZEE5 original series Date With Saie. On watching the series, I got some pointers for discussion that mainly revolved around the ugly side of fame that celebrities face on a daily basis. The other day, my daughter suddenly announced she wishes to be an actress. Now, considering the fact that my tween is least interested in acting, this whole actress thing caught me off guard. I just blurted out a big Why?! Though amused by my reaction, she continued with a straight face – I want to be famous and lead a glamorous life. Everything is so easy when you are an actor, she added. I tried to reason with her that the celebrity life isn’t easy. But clearly, my explanations were falling on deaf ears! So I decided to take a break and come back to the topic later with some more points. This is when I began my research and came across the trailer of Date with Saie. The series revolves around Saie Tamhankar who is a real-life Marathi actress and she portrays herself in this web series. Like my tween, many are disillusioned by the roles that the celebrities play on screen and start associating that on screen nature to their real-life persona! It is tough for a celebrity to put on a fake pretense all the time. But when they don’t act as the audience expects them to in public, the celebrity is painted out to be rude or arrogant. Didn’t you expect a guy like Shahrukh Khan to sweep you off your feet in your teens? Today we realize that was a screen persona that he had. He might be charming in real life too, but expecting him or anyone to imbibe and act as the on-screen Raj/Shahrukh Khan behaves is silly. Date with Saie showcases such scenarios where people forget to distinguish between a reel Saie and real-life Saie. Being mobbed at public places or events is a daily event for celebrities. While many of the fans that gather are present there out of genuine love for the actor, there are many who are sleazy or over-zealous. There have been instances where actors have been groped, robbed or even man-handled by such mobs. Dealing with such people day in and day out can take a toll on a person’s well-being. This is something that the celebrities have to live with. If people love an actor there are those who will declare their love by sending fan mails but every scenario has a flip side. The way there are fan mails, there are hate mails as well. A simple photo could have great comments. But they could also feature sleazy as well as hate comments. Words do hurt and they hurt bad! An actor has to endure that all. 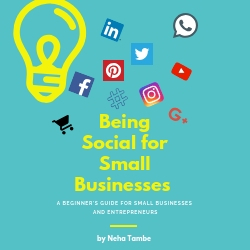 With social media becoming an all-encompassing being of its own, it is tough to stay away from it. While social media has been able to bring the personal aspect of the stars on the forefront, it has also brought with it a new league of people known as the trolls. They love hating and being mean. They are faceless and nameless entities who have mushroomed and are available in dozens. These unknown predators manage to damage reputation, peace of mind and life as we know if allowed to win. A celebrity has to face them on a daily basis and live with those scars. These are creeps who don’t understand the distinction between private and public life. They are not limited to celebrities but celebrities are more prone to the harassment caused by stalkers. With the world heading towards digitization, a stalker today has lot many tools at his disposal which act as surveillance and threatening devices. 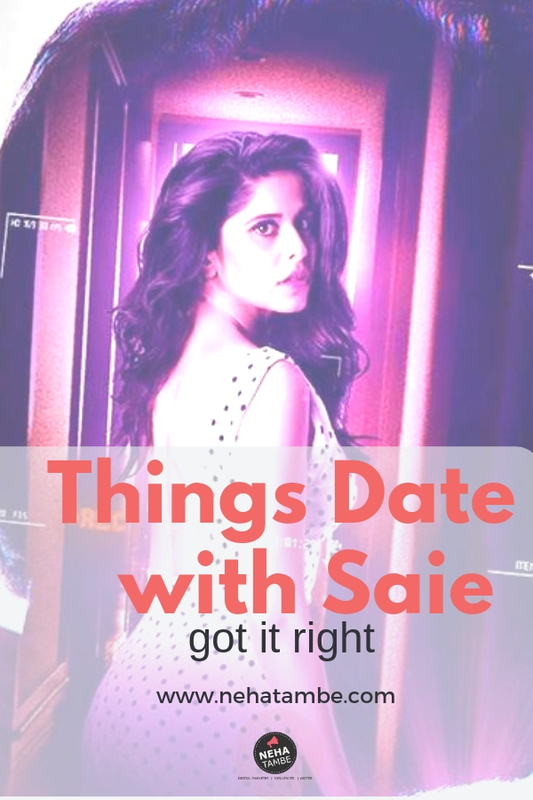 Date with Saie follows one such fanatic stalker and how it poses a threat to Saie’s private life. As an actor, your life is always up for public scrutiny. Things that if done by the general public could cause some embarrassment or some backlash are magnified 10X when it comes to celebrities. Celebrity intentions are also questioned everytime they take a decision. It can be stressful to be scrutinized and questioned for everything that you do! Right from the clothes that a celebrity wears to the opinion that they have, everything is a source of gossip for the paparazzi. Hackers seem to derive pleasure and maybe even earn by blackmailing celebrities and industries alike. Celebrities are more vulnerable to this as they have an image to protect. Their personal images or information can be easily hacked and the same is then either leaked online or exploited. In the series too, we see Saie Tamhankar face a similar predicament. After being exposed to the other side of fame, I now need to articulate it in a way as to explain these things to my tween. Did you know about all these aspects of being a celebrity? What are your thoughts about these issues and the series Date with Saie? I can well imagine your reaction when your daughter declared that she wants to become an actress! Date with Saie looks like it will not only be an entertaining thriller, but will show people the other side of fame as well. Date with Saie ,shows that showbiz is not just fame and glamour but it has its ugly side and challenges too .Why just celebrities , anybody can be a target but celebrities tend to be more visible . It is so common to overlook the bad or hidden part as I would put it behind the fame and glamour of famous celebs. Thank you for sharing this interesting post. Every thing comes at a price, being famous has its own advantages and disadvantages. I loved reading ur post. This seems to be a good show. There is so much of deep thinking which has gone in writing this post. Everything has a price and every person has to pay a price for everything he/she gets in life. Behind all the glamor and luxury lies the daily struggle of a celebrity. And, it’s certainly does not look like an easy job! Just yesterday I got a call for my daughter to model in a photoshoot to which i politely declined. I understand that being a celebrity has more cons. I am happy I am sticking to my point now. the other side.An informed decision and setting goals is must before deciding a career in film/glamour industry. Being a celebrity is not easy. I would love to watch this one based on your detailed review. we only see the glamour side of Bollywood, but fail to understand its risks. this movie seems to be a good watch. I have not seen it but this sounds very interesting. Being celebrities i not easy after all. I would love to watch this series on ZEE5, we often pass the buck saying this happens only in high society or elite class. However, the way middle class lifestyle is changing many new challenges are piling on us today. Will catch this to get the hint of life of Saie. I get shocked by seeing the trolls on social media.. some people are annoying beyond limit. I am intrigued with this series. That’s an interesting series. Though I haven’t seen it, it definitely brings out a fresh perspective on the subject. Thanks for sharing.